When it comes to performing routine maintenance on your car, nothing compares to having an OBD2 scanner. When the “check engine” light comes on, you don’t want to have to take your vehicle into the shop just so they can tell you what’s wrong. Having a high-quality scanner in your garage will make it much easier to diagnose issues so that you can fix them yourself. Fortunately, there are lots of great options out there from which to choose. Let’s look at five of them. 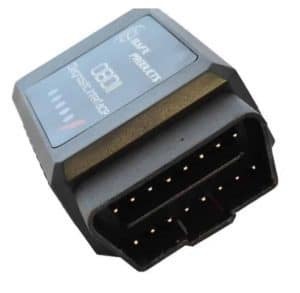 Considering that we all have smartphones these days, it makes sense to buy an OBD2 scanner that can connect to your mobile device for your convenience. The BlueDriver Bluetooth Scanner makes it super easy to check and figure out what’s going on under the hood, thanks to the Bluetooth sensor and the accompanying app. Best of all, you can install this sensor into your car once and have it readily available whenever you need it. 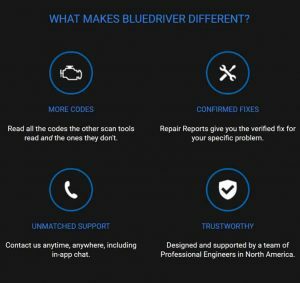 ​BlueDriver has a vast community of mechanics and users that post their fixes to almost any problem you can encounter.With over six million such reports available from the app, you don’t even have to be that knowledgeable about cars to discover the best way to fix any issue you come across. The reason we give the BlueDriver Scanner such a high rating is that it’s compatible with both Android and iPhone users. Simply download the app from either the Google Play or Apple Store, and you can begin checking your car immediately. With most OBD2 scanners, you can simply check to see what’s going on with your car when the check engine light comes on. You get a list of codes to test against, and that’s about it. With the smartphone app from BlueDriver, you can do more than figure out what your codes mean. The app allows you to save data, live stream information to your phone, and contact support to find out what’s going on, all immediately. BlueDriver has a vast community of mechanics and users that post their fixes to almost any problem you can encounter. With over six million such reports available from the app, you don’t even have to be that knowledgeable about cars to discover the best way to fix any issue you come across. 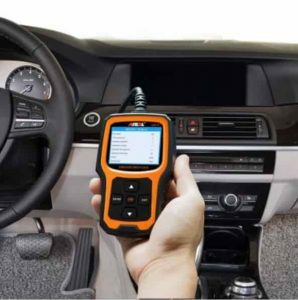 With a large format screen, a compact design, and easy to read instructions, this OBD2 scanner from Autel makes it simple to diagnose what’s going on with your car. This is a “plug and play” model, meaning that you just plug it into the OBD2 port, see what’s wrong, and figure out the best solution. 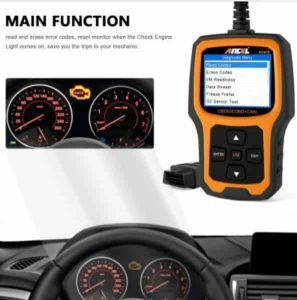 ​​This scanner will show you all of the most common check engine codes, as well as vehicle-specific codes that you may encounter. The system has thousands of options from which to choose, and it works on all newer models as well. With other OBD2 scanners, you have to squint your eyes to see what’s being displayed because the screen is so small. With the AutoLink AL319, however, you can quickly see what’s happening and navigate through the intuitive menu options. Having a scanner in your garage is convenient, but that also means that it can get some rough treatment, especially if you don’t use it too often. Fortunately, the AutoLink AL319 has a rugged housing to protect the sensor so it will stay in pristine condition for longer. As car manufacturers update their diagnosis lists, you can download new codes and resolutions to the scanner directly, using its networking capabilities. Thus, you can always be sure that you have the most up-to-date system. This scanner will show you all of the most common check engine codes, as well as vehicle-specific codes that you may encounter. The system has thousands of options from which to choose, and it works on all newer models as well. 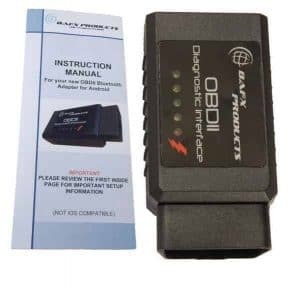 If you have an Android phone and you want to be able to check your car for check engine codes, then you’ll want this OBD2 scanner from BAFX. While we would prefer for it to work across smartphone types, it offers convenience and peace of mind to anyone who can download the app from the Google Play store. Rather than having to keep your scanner handy in the garage (or in your car), this device will attach to your sensor and stay there for as long as you like. Thus, you’ll be able to diagnose issues and check data anytime you want. Even if you don’t have a check engine light on, it can be helpful to see what’s happening underneath the hood so you can be sure that you’re getting the most out of your vehicle. ​This device can check all kinds of systems in your vehicle, including things like fuel, coolant temperatures, fuel pressure, and more. You’ll become intimately acquainted with your car in no time. One thing about this OBD2 scanner is that you have to use a third-party app to check what’s going on underneath the hood. While that can seem like a downside at first, it’s actually a good thing because it enables you to pick from a wide selection, rather than being stuck with a proprietary version. 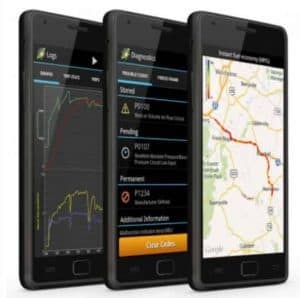 Depending on the app you get, this device will send live data to your phone so that you can monitor your car’s performance and save the data for comparison. Real gearheads will love that they can have a detailed history of various onboard systems so they can understand how well their car is doing at any given time, as well as anticipate issues that may arise. This device can check all kinds of systems in your vehicle, including things like fuel, coolant temperatures, fuel pressure, and more. You’ll become intimately acquainted with your car in no time. One issue with onboard scanners that stay plugged into your car is that they can sometimes drain the battery. Since there is no on/off switch for the device, you may be putting yourself at risk of coming out to a dead battery when you try to start the vehicle. ​Fortunately, this model doesn’t have that issue as internal sensors will keep it from drawing power at all times. Thus, you can have it plugged in without worry, making this a viable option for everyone. As with other Bluetooth OBD2 scanners, this model doesn’t come with its own diagnostic app. Since there are more third-party options for Android devices, this unit is not compatible with iOS features. Nonetheless, as long as you have an Android smartphone, you can download and use virtually any OBD2 app and sync it to this device. Doing so will enable you to check on your car’s systems anytime you wish. Another issue with some Bluetooth scanners is that they can be hacked. Since the signal is emitted at all times, other people can sync to the device and see what’s going on in your car. Fortunately, this model has wireless encryption so you can stay safe, no matter who is in the vicinity. You don’t have to wait to see what’s happening underneath the hood. The ScanTool 427201 is much quicker than the competition. Get diagnostics in a blink of an eye and stream live data with no interruptions. Our final OBD2 scanner is another handheld device that plugs into your car’s OBD2 port. This compact and lightweight model makes it easy to see what’s going on, thanks to the large backlit screen and easy-to-understand instructions. 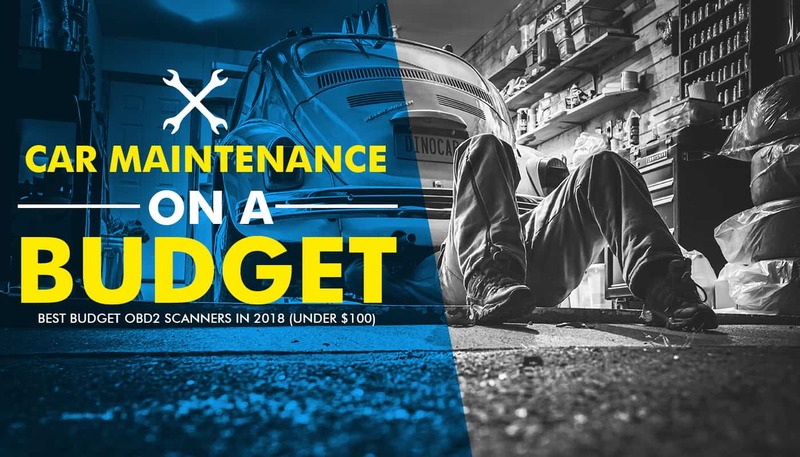 What makes this scanner better than others is that it comes with additional diagnostic tools, and it allows you to turn the check engine light off. Not all scanners have that capability, which makes this an excellent choice for any user. While it’s not as easy to read as your smartphone, the screen on this OBD2 scanner is more prominent than most, ensuring that you can see what’s going on without any problems. Searching for the right code and reading the solution is super easy, and you can do it at any time, even in low light conditions. If you want to get a detailed report about the issue in your car, you may prefer having a printout than reading everything on the device itself. This model allows you to print each report wirelessly. Keep all of your statements to build a customized manual for your vehicle. With other OBD2 scanners, you can spend more time searching for the right option than you would fixing the problem. This system is intuitive and ensures that you can figure out what’s going on in seconds, not minutes. 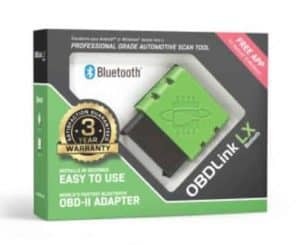 While all of these OBD2 scanners are incredible for the price you pay, we have to say that the BlueDriver Bluetooth Scanner is by far the best option. We like that it can be plugged into your car for constant diagnostics whenever you want, and the accompanying app makes it easy to figure out what’s going on. Whether you’re already mechanically inclined or you know nothing about your vehicle, the BlueDriver can make you an expert in no time.